The Fabulous Showboat01908 351200work Ten Pin BowlingShow off your skills with fine family entertainment at The Fabulous Showboat - ten pin bowling top game play and great food! Call in and collect 10 free redemption tickets. 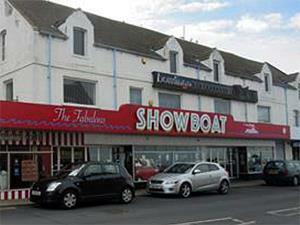 The Fabulous Showboat belongs to the leisure group Praesepe plc. Show off your skills with fine family entertainment at The Fabulous Showboat - ten pin bowling top game play and great food!